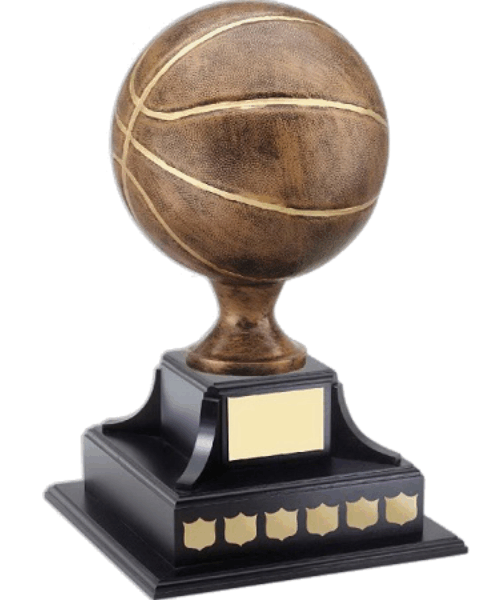 Our annual basketball trophy is a finely crafted award fixed with a solid black wooden base. 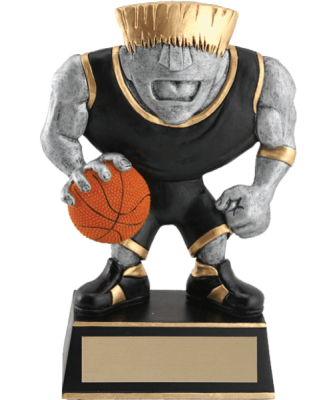 The solid construction and design provides a quality feel. 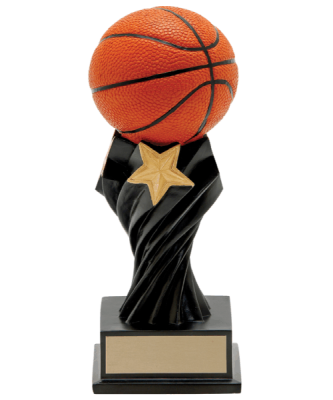 Easily customize the front plate of the trophy with any combination of text and logos. 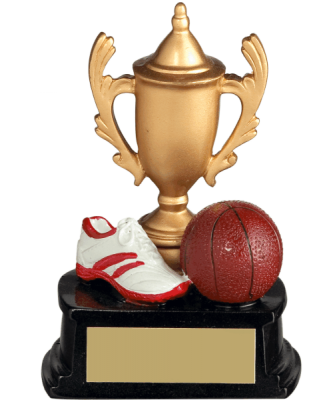 Add yearly shields to show off your hard working winners!